Emissions from energy use cause environmental and health damages and they also contribute to climate change. By charging for these damages, taxes on energy use can reduce excessive emissions, while raising revenue that can be used to fund vital government services.This report assesses the magnitude and coverage of taxes on energy use - carbon taxes and other specific taxes on energy use - in 2015, across different countries and selected country groups, six sectors and five main fuel groups. It also considers change in effective tax rates on energy use between 2012 and 2015. 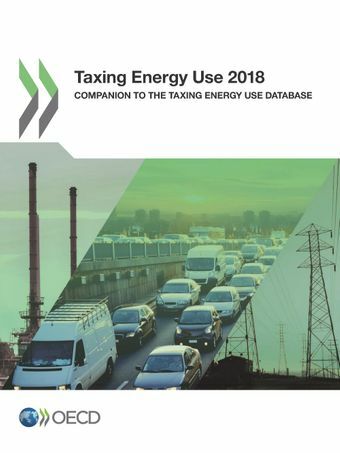 The analysis is based on the OECD’s Taxing Energy Use database, a unique dataset to compare coverage and magnitude of specific taxes on energy use across 42 OECD and G20 economies, which together represent approximately 80% of global energy use and CO2-emissions associated with energy use. With almost no emissions from energy use priced at levels required to keep global temperature increases below 2 degrees Celsius, there is still considerable scope, and an urgent need, to improve the use of taxation to reduce pollution and combat climate change. How do energy and carbon taxes differ across countries, different fuels and sectors? What should be done to reduce emissions and reach global climate goals at minimum cost? Environmental tax economists from the OECD Centre for Tax Policy and Administration discussed the key findings from the upcoming OECD publication, Taxing Energy Use 2018, which measures the magnitude and coverage of energy and carbon taxes in 42 OECD and G20 countries and provides a first appreciation of changes in energy and carbon taxes over time. Access the full presentation.